Honey Lady’s blend of honey, ginger and clove… have this through the winter months, either off the spoon or made into a warming tea. Soothes a sore throat. Ingredients: Raw Honey Lady Honey, organic fair trade ginger, organic fair trade clove. 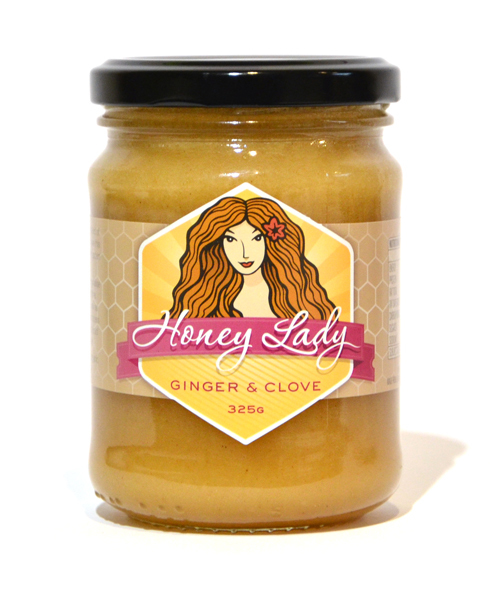 Honey Lady Ginger and Clove Honey is available in 200g, 325g & 700g jars and can be ordered at the Honey Lady Online Store or from one of our fantastic Honey Lady Stockists.